What Can We Do with All These Leaves? 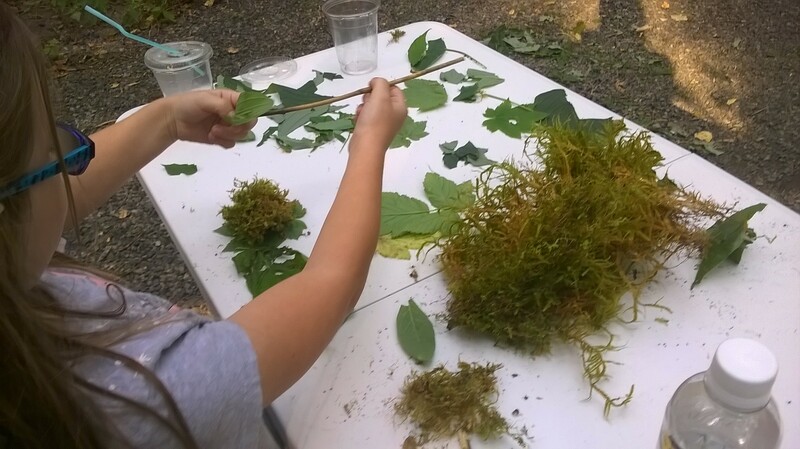 Leaf and play activities for kids. 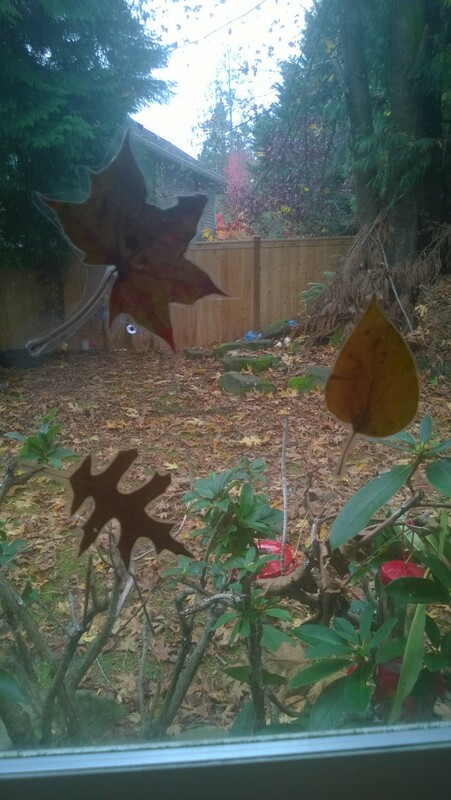 This time of the year my garden is covered in a blanket of leaves. 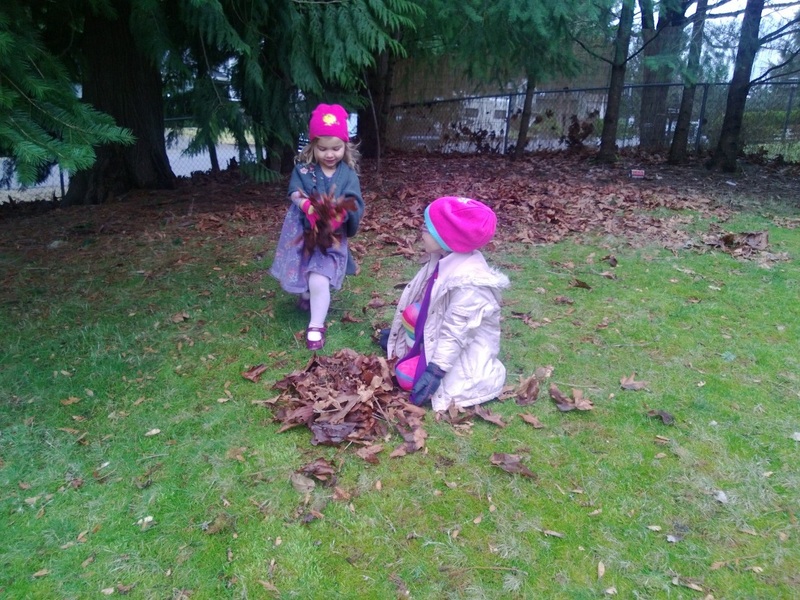 The girls enjoy helping to rake them up but it is a never-ending task. 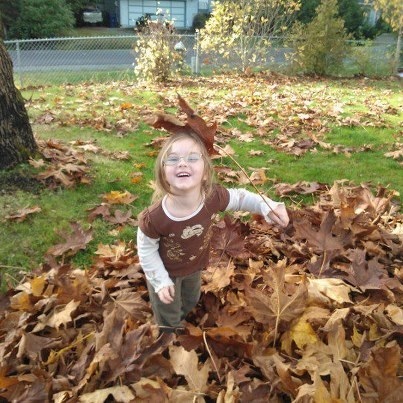 When leaves are plentiful there are many activities that you could take advantage of. Here are a few of our favourites. 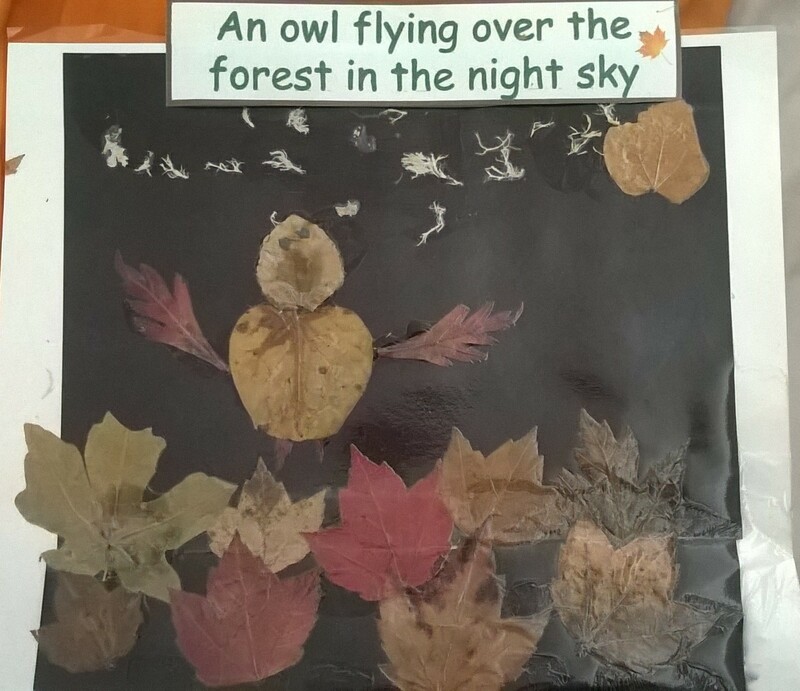 Leaf Man by Lois Ehlert is illustrated with photocopies of leaves that have been arranged to make pictures. We studied the way Ehlert uses coloured paper to create a layered background and leaves and natural materials for the main body of the picture. 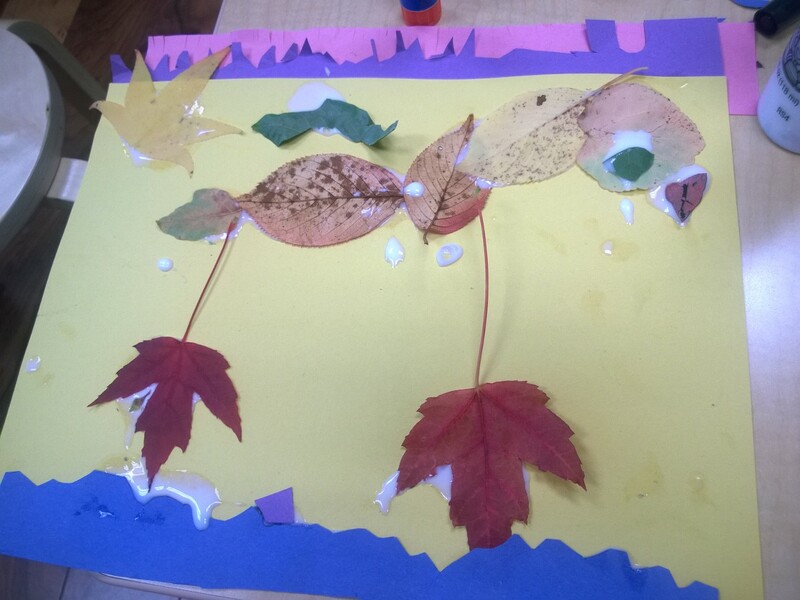 We created our own pictures, starting with the background and adding leaves. The leaves work better if they are pressed beforehand using a flower press or a heavy book. Preserve them by laminating before the leaves dry out. 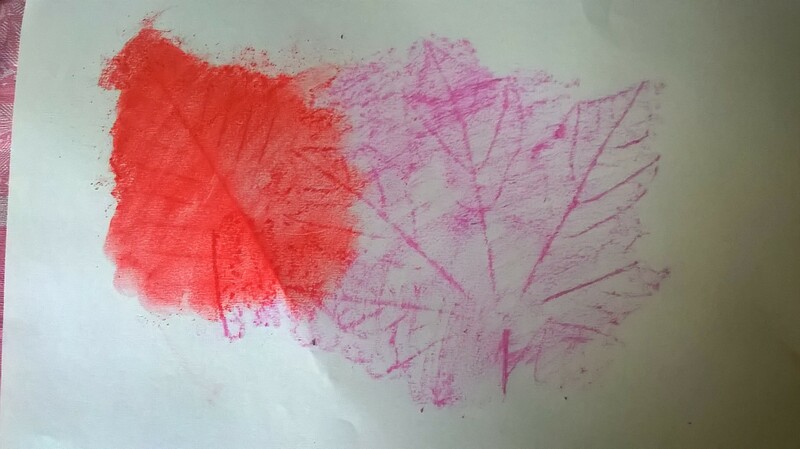 Young children enjoy printing with leaves or painting on larger leaves. You could also try painting with different types of leaves or dipping the stalks into paint to make marks. Dried leaves crumbled into paint could also make an interesting texture. 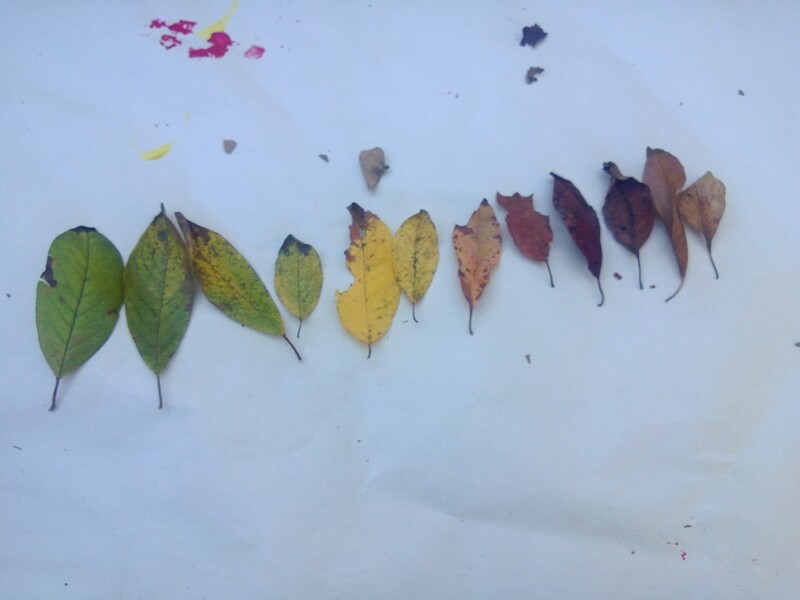 Leaves are perfect for investigating colour mixing. Give each child a leaf and ask them to try to mix the matching colour. 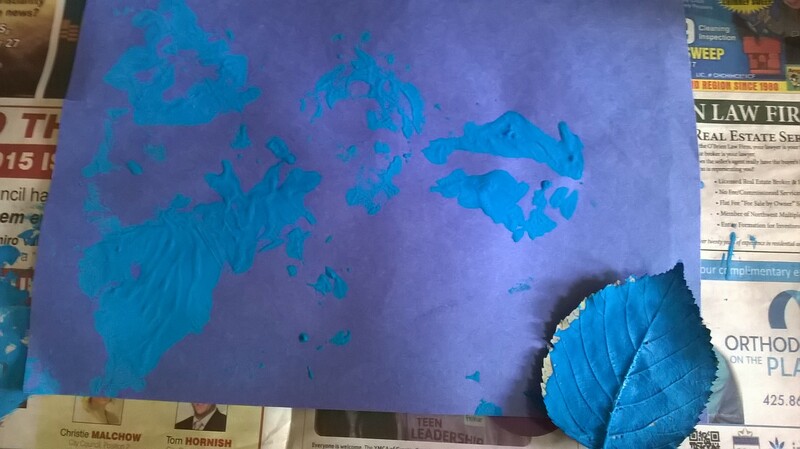 Younger children could paint the colour onto their leaf, print it on paper or paint around the outline, older children may like to try an observational painting of their leaf. Small square canvases or watercolour paper would make them extra special. 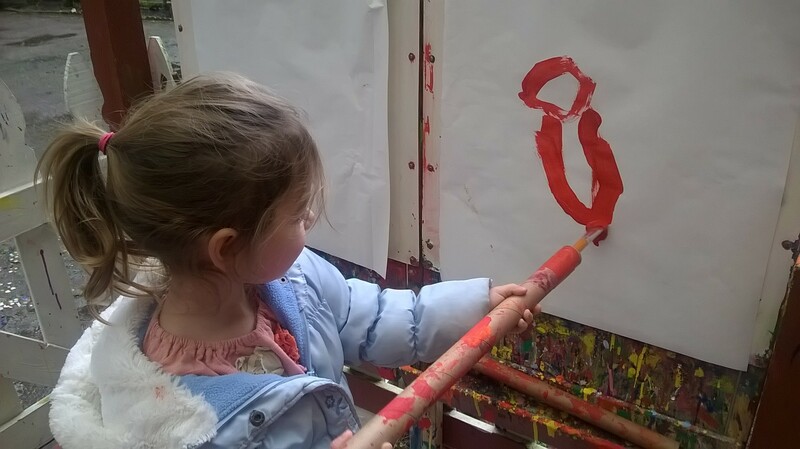 Sometimes young children find this difficult so experiment with different colours and materials, like crayon, pencil, chalk, pastels or charcoal to decide which makes the most effective rubbing. 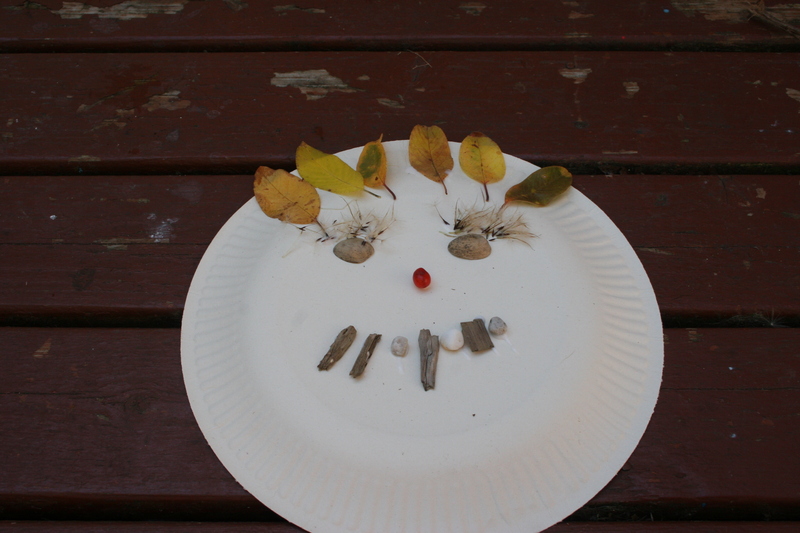 Use leaves to create mosaic patterns and pictures. These could be individual or large group projects. The girls collected leaves on a camping trip and used them to thread onto sticks to create clothes for their stick people. 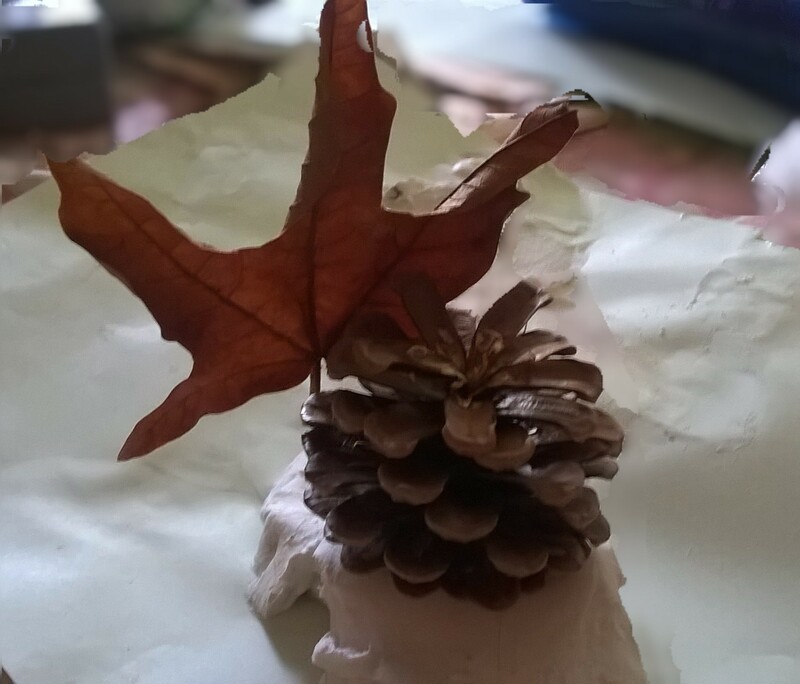 Leaves make interesting imprints in clay or they can be used as a template to cut around. Clay leaves make great bowls, tiles or mobiles. 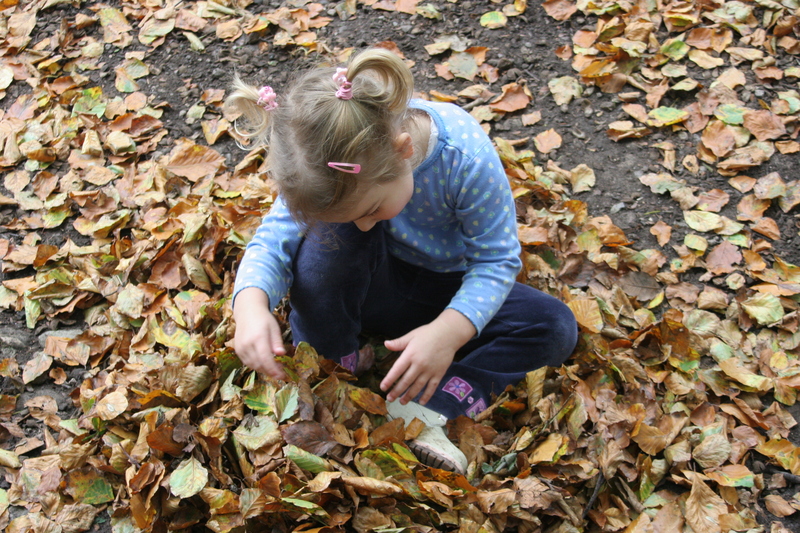 Collect leaves and put them in a sensory bin – investigate what happens to them over time. 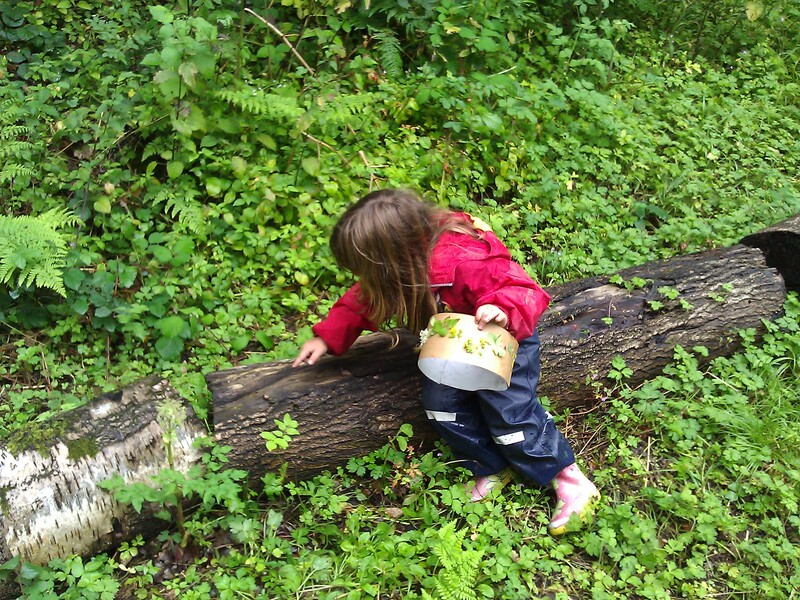 Add interesting objects hidden amongst the leaves or toy woodland animals and bugs for small world play. 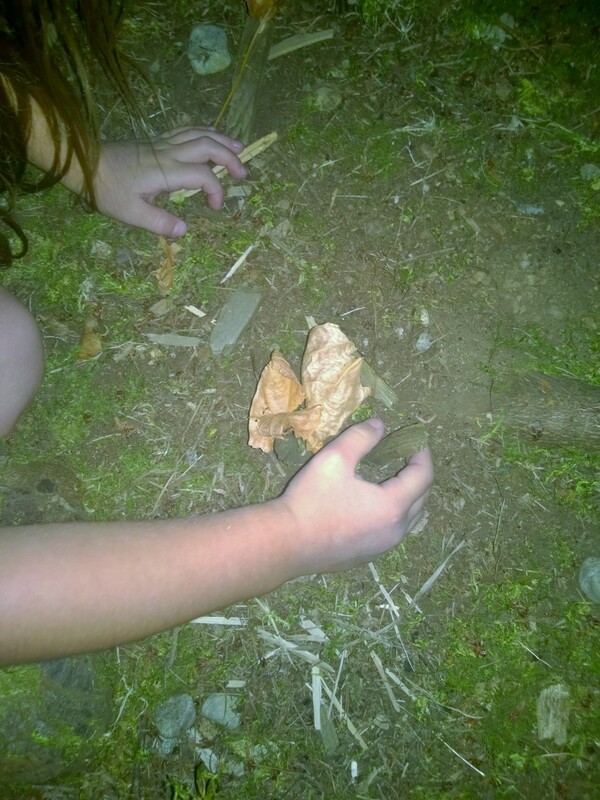 If you have leaves outside how do the children use them as loose parts? and added them to a potion. Last Halloween we made spiders to hang on the bushes outside. The bodies were made from black bags stuffed full with leaves. You could also use leaves to stuff scarecrows or guys for bonfire night. 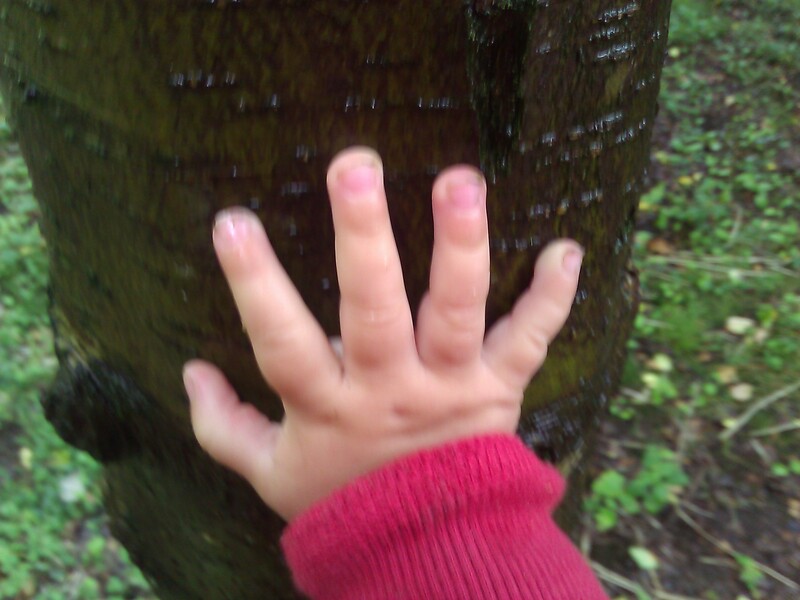 Over a period of time we collected interesting leaves and laminated them. They looked great on the window and I challenged the girls to find out which trees they belonged to. I think they would also make an eye-catching mobile. 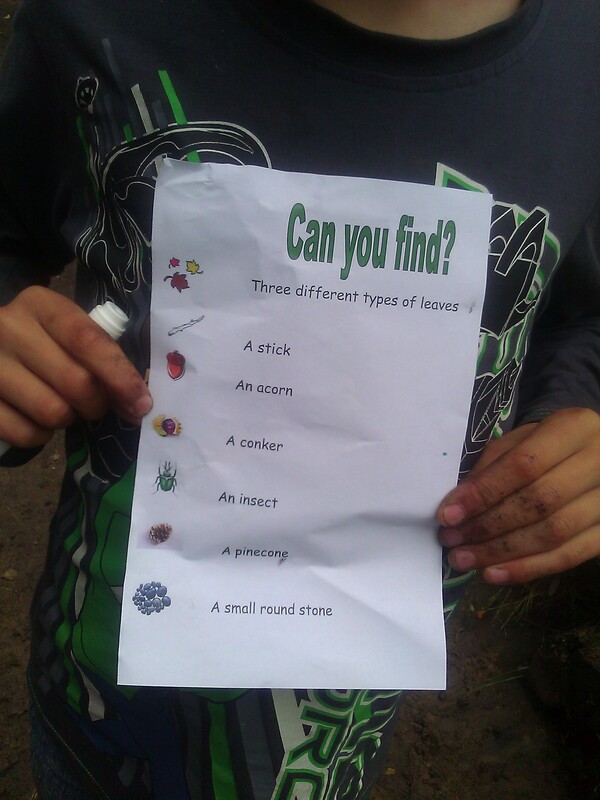 This year we are using the laminated leaves to see if they can find matching leaves in the neighbourhood. Laminated leaves could be used for all kind of things. We have used them as gift tags, to play matching pairs and they look great on the light table. If you collect leaves gradually from the same tree or bush as they change colour you can make a leaf rainbow. Before you decide to rake all the leaves away, take a look at this face, I think it says it all. How Do You Know When You Have Found the Perfect Preschool? A place where I can kick my shoes off and sink my toes in the mud. Regular readers will remember that when I moved to the US, I struggled to find a preschool that I was entirely happy with. I became so disillusioned that I decided to home preschool for a year. 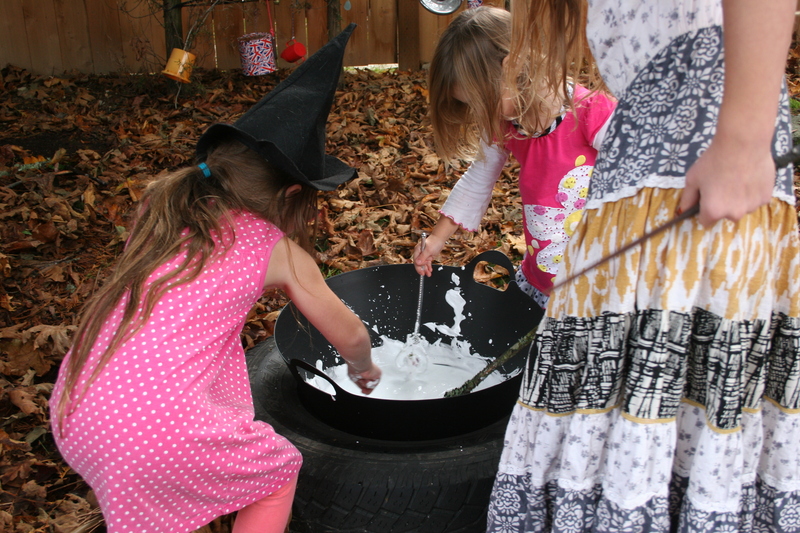 I’d lost faith of ever finding a preschool that valued play, independence and individuality above academics and rigid schedules until a friend told me of a preschool situated on a farm. The preschool shared my belief that children learn best by doing things that have relevance in their lives through exploring, discovering and creating. The school is so popular that it was a whole year before I had a chance to visit and see the school for myself. Children were busy pulling apart sunflower heads on the covered deck area whist others moved freely between the different activities indoors and outdoors. The teacher’s enthusiasm and passion for both the children and the setting was evident immediately and a bubble of excitement rose up within me. Our name was put on the waiting list for Sept 2015 but before Christmas a place became available in the co-op class so finally my youngest daughter had the chance to attend. 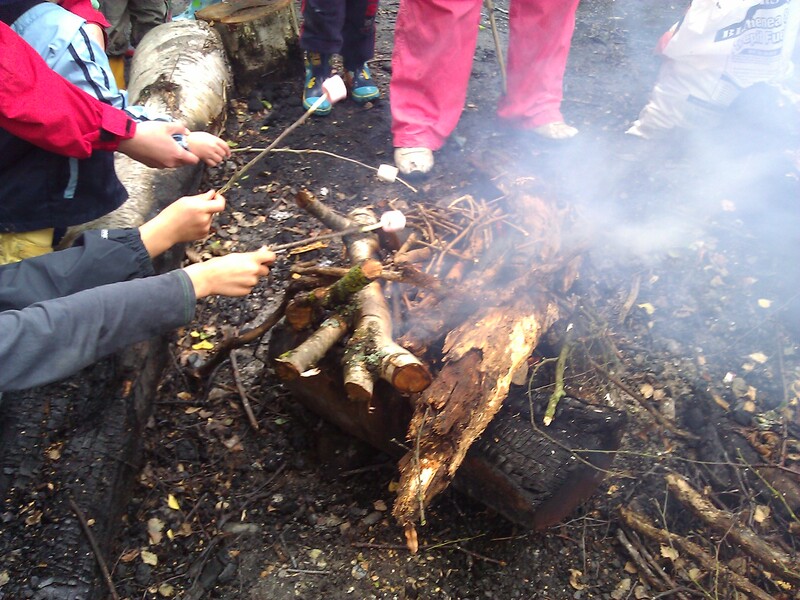 This was perfect as I also had the chance to be involved in this wonderful experience as a parent helper. 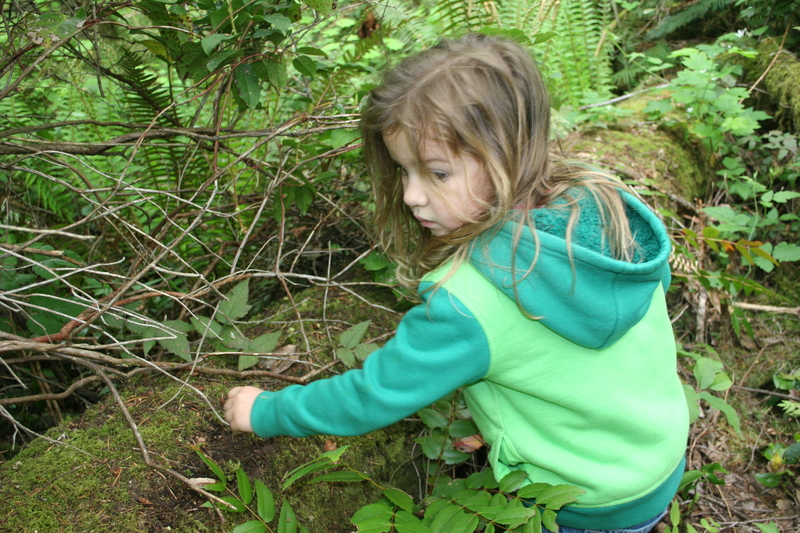 There was little doubt in my mind that this was the perfect preschool for my outdoor loving daughter. My expectations were high. I have been fortunate to teach at a highly acclaimed nursery in the UK and to visit the best preschools in my local authority as an advisory teacher. My experience of this school has surpassed all my expectations, I couldn’t have hoped for a more perfect preschool for my daughter and I am only sad that my older daughters didn’t have a chance to go there. After she started, it just seemed to get better. Regularly she would come home covered from head to toe in mud. To some parents this would be horrific but to me it meant she had the freedom to be herself and have fun. Being a part of the co-op class means that I get to help out once a month. This is the most exciting part for me as I get to join in. I love the covered deck area which enables the children to play outdoors all year. 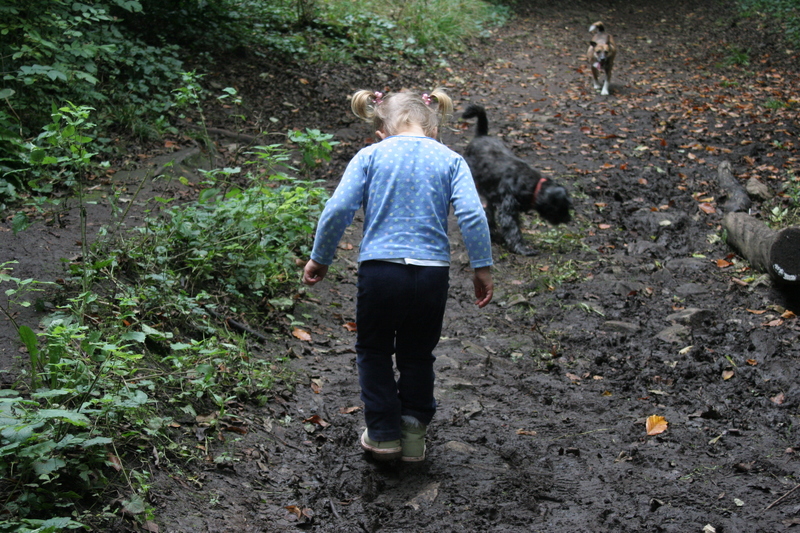 The children explore the whole farm for the 2nd part of the session, mud, water, animals, climbing and balancing. They are actively encouraged to take risks. As we arrive my daughter always chooses to paint . 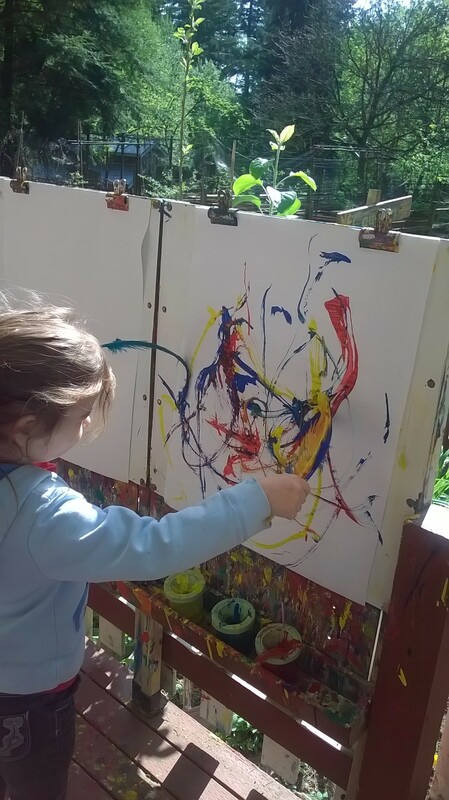 She liked this painting activity with paintbrushes placed on extended poles. Small classes and the dedication and experience of the teacher, mean that she understands each child as an individual. My daughter who is uncomfortable speaking in a group or to unfamiliar adults is given time to think about what she wants to say, often being presented with a question at the start of a session and returning for a response later. 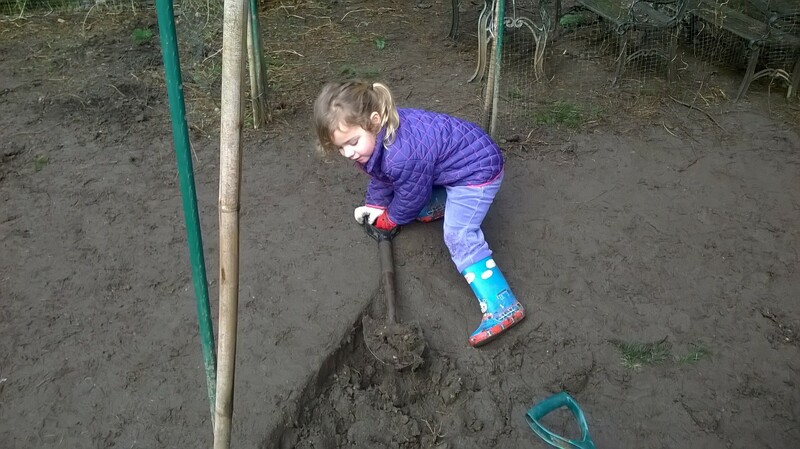 The child who hates to get his hands dirty is offered alternative tools and all the materials are open-ended so that children can use them as they see fit. Children are always encouraged to try things for themselves, even when they ask for help they are first encouraged to try. The children are trusted to use adult tools for woodworking and tinkering, peeling vegetables and cooking. The teacher shows them how to use the tools safely and responsibly and thereon in they are trusted with them. The children cook their own green eggs and ham on the tiny stove, they dig with metal shovels, they observe candle flames and peel carrots with a peeler. 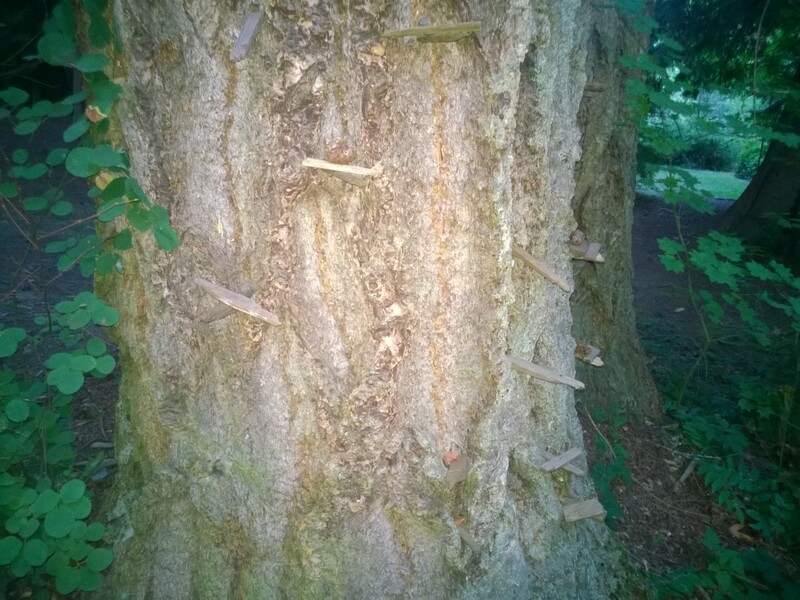 Outside they are permitted to climb trees, feed the animals, hold guinea pigs and dig in the mud. 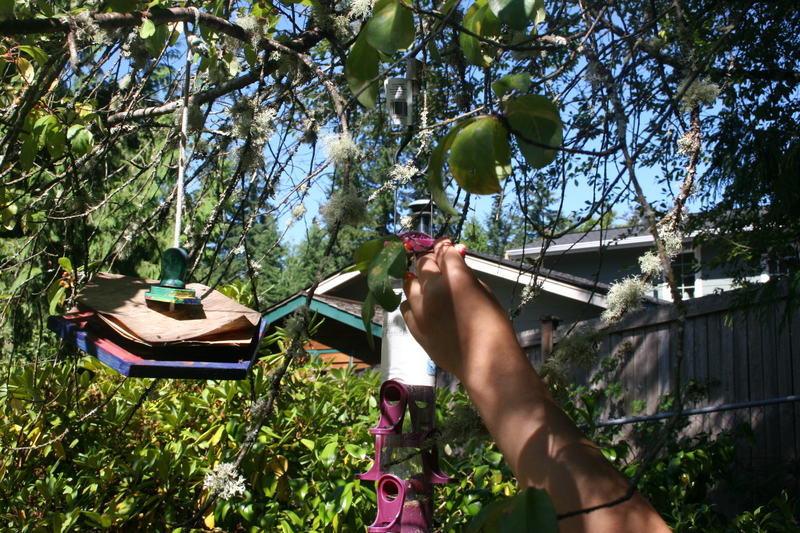 The children are trusted to handle precious materials like birds eggs, chicks and nests. This tinker table is always available. I regularly see children sawing pieces of wood placed in the clamps, hammering nails or taking apart electronics with a screwdriver. 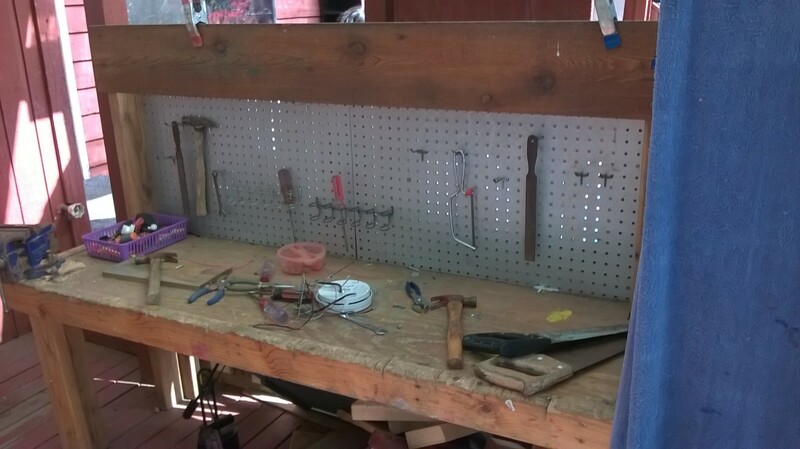 In the nursery I taught at we had a tool bench with real tools but we weren’t confident enough to leave it out all of the time. I have never seen a child have an accident or do anything dangerous with the tools. 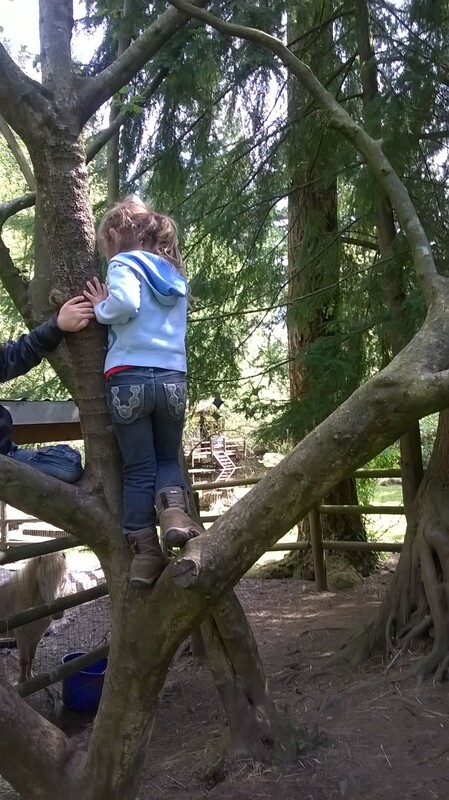 My daughter loves to climb trees – I’m not sure I could find anywhere else where this would actively be encouraged. 3. 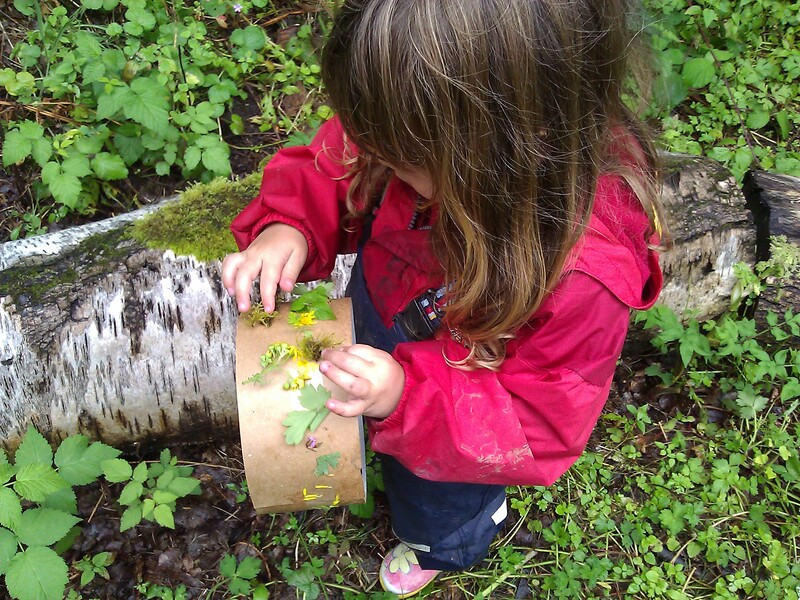 The Preschool fosters understanding and respect for nature. 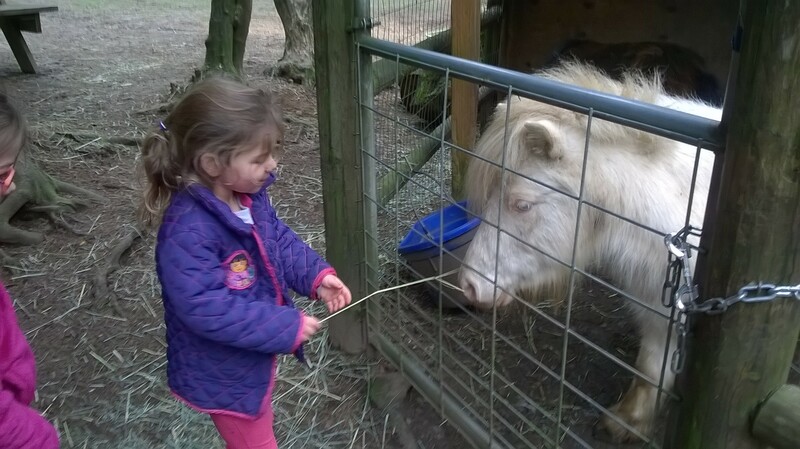 Many of the activities involve the natural rhythms of the farm, collecting the produce, understanding the cycles of the plants and learning about the animals and creatures they find. After the first few sessions, my daughter told me they had unicorns at preschool but that it was too small to have grown a horn yet. A preschool with unicorns? Could it get anymore magical? 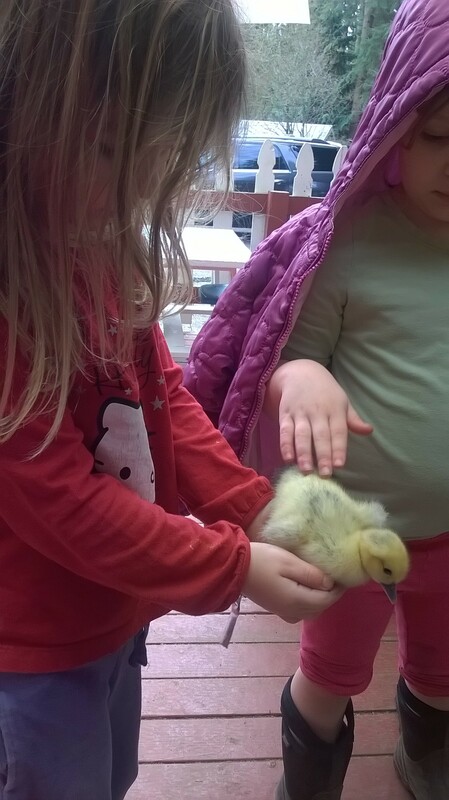 When the duck’s eggs hatched the children were allowed to hold them. 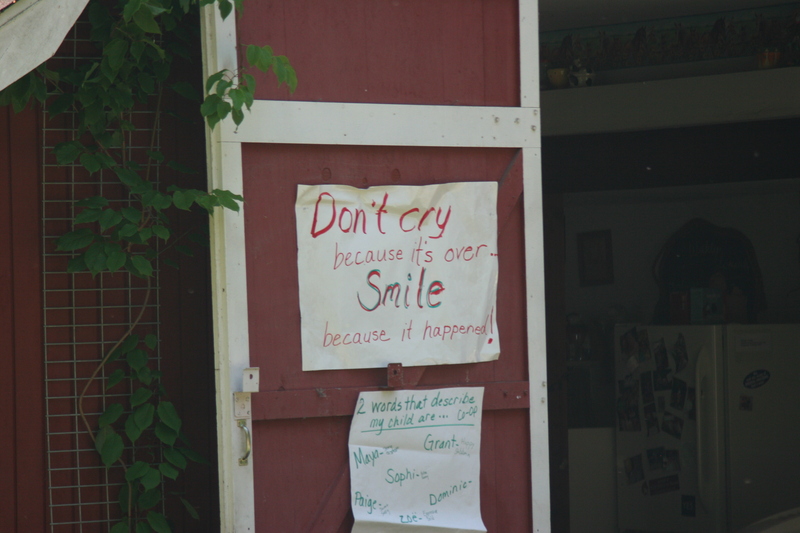 Each session the children are asked a question and the answers are recorded for parents to read on the wall outside. The children listen to each others responses and discuss them with respect. 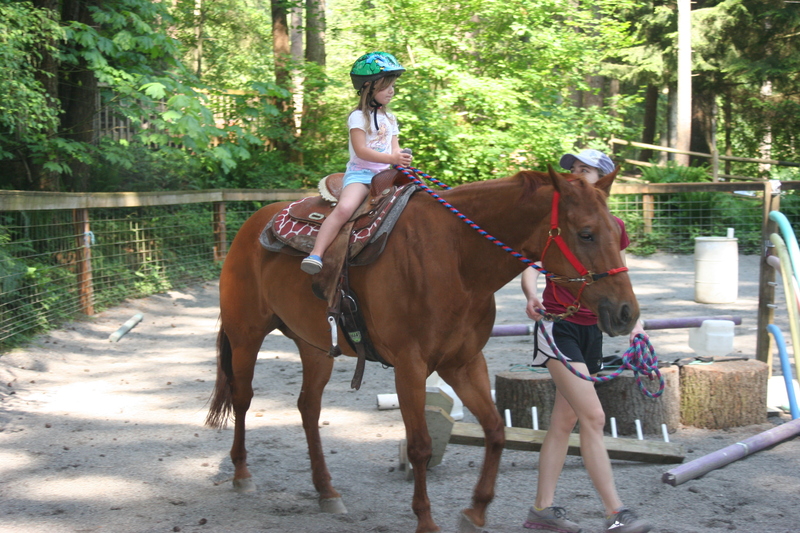 The children’s choices are respected as they are presented with a number of activities to choose from at leisure. They also have opportunities to choose the songs they will sing and are confident at asking for things. The children are offered a snack, they choose when and if they would like to eat it . 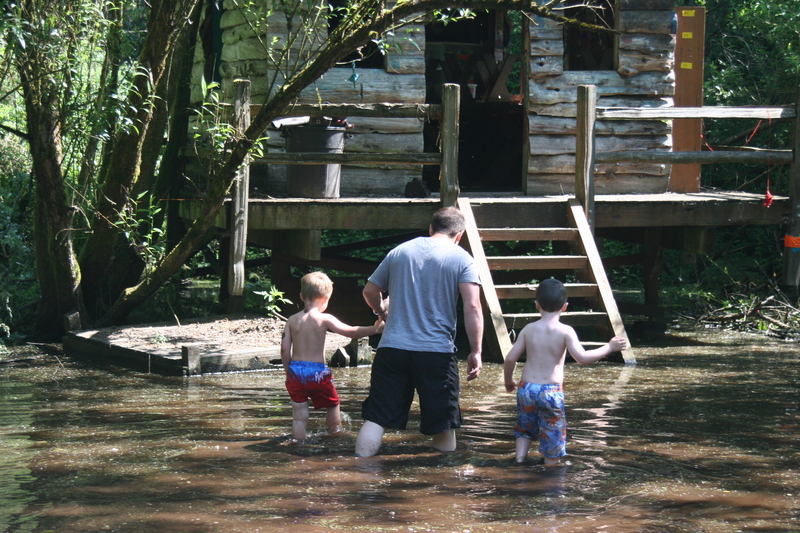 On the last day of school, parents are invited to join the children as they wade in the swamp. Best of all, I feel that my daughter experiences something here that she would never have the chance to experience elsewhere. I feel so fortunate to have found this preschool and that my daughter has one more year there. When our time is over I will be so sad but I hope I can remember her teacher’s words of wisdom. 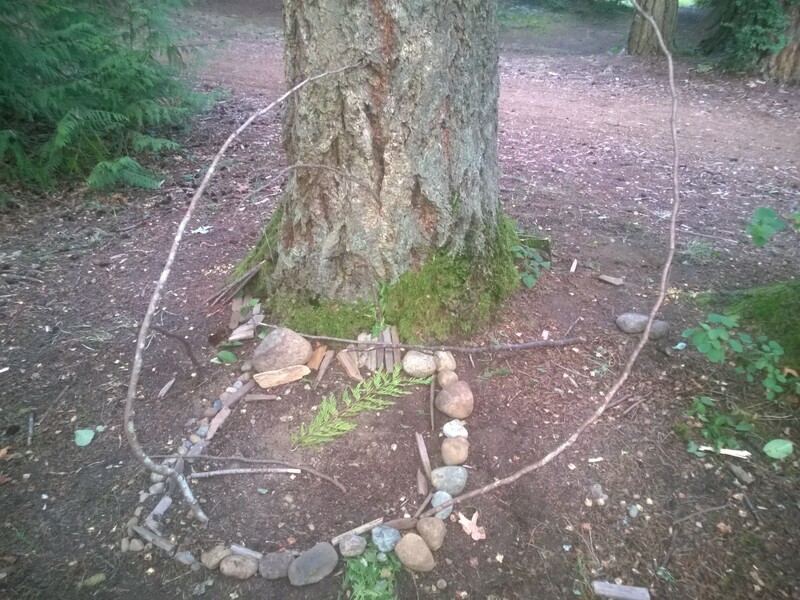 Fairy Houses in the Woods. 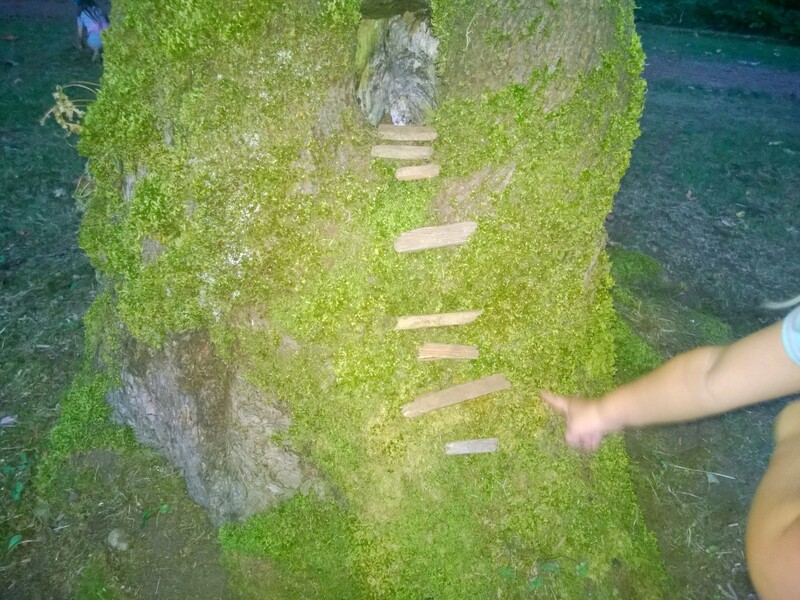 Look I think someone has been building fairy houses in the trees! Do you believe in fairies? On a quiet walk around Beaver Lake Park, we discovered that they had taken up residence. 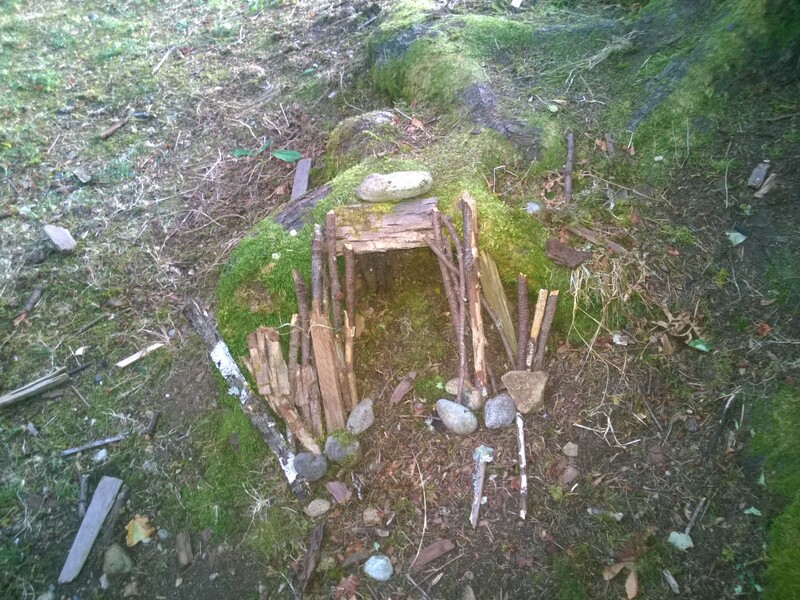 Had the fairies crafted their own houses or had someone else built them to entice them in? Either option was equally magical to a 3-year-old. 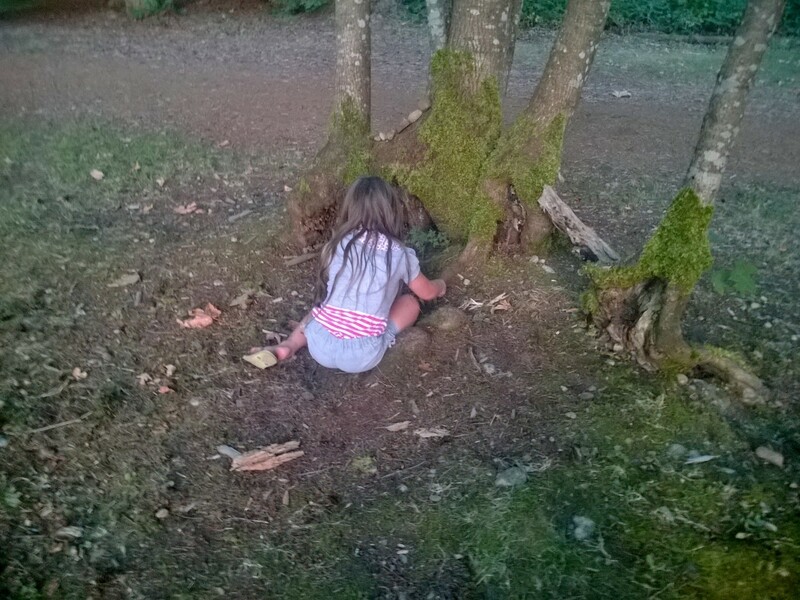 Having recently finished our own fairy garden, she was desperate to build a house herself and ran to fetch her sister. 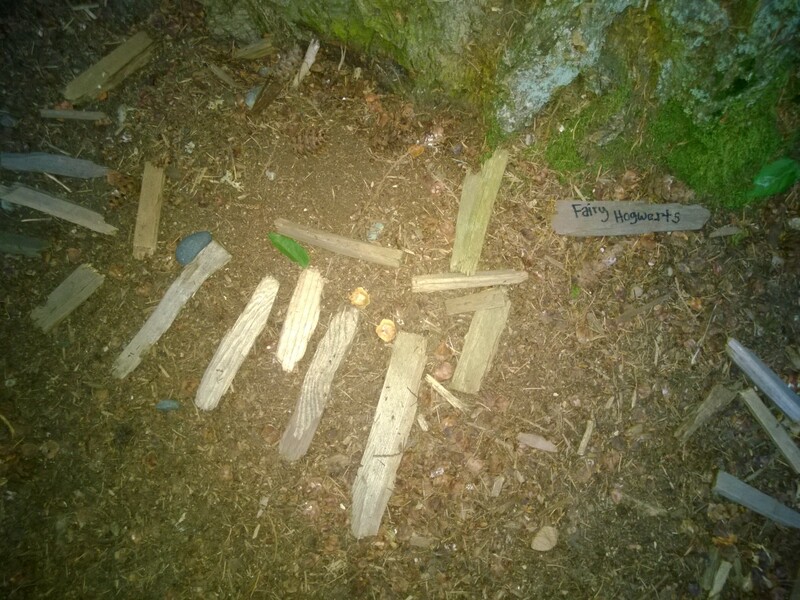 We carefully tiptoed around the trees, discovering at least a dozen fairy houses and rooms. 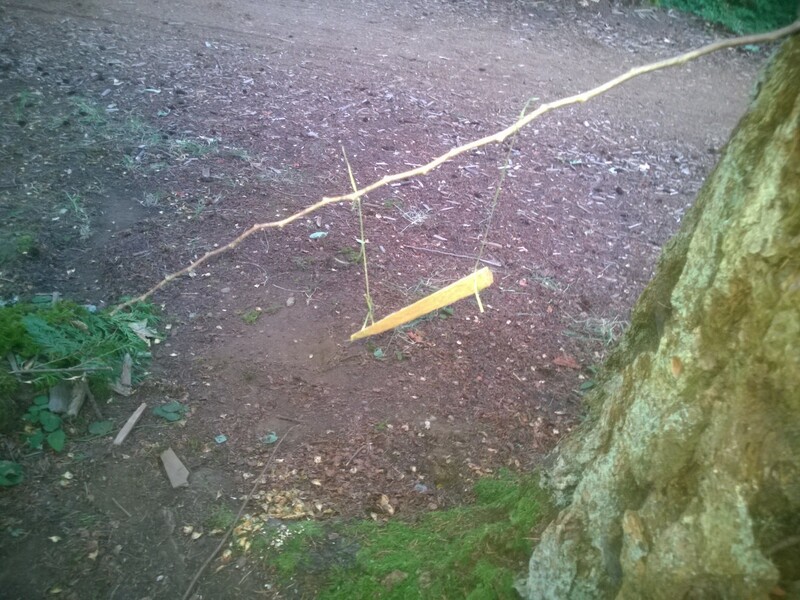 This one had a swing made from blades of grass and a piece of bark. 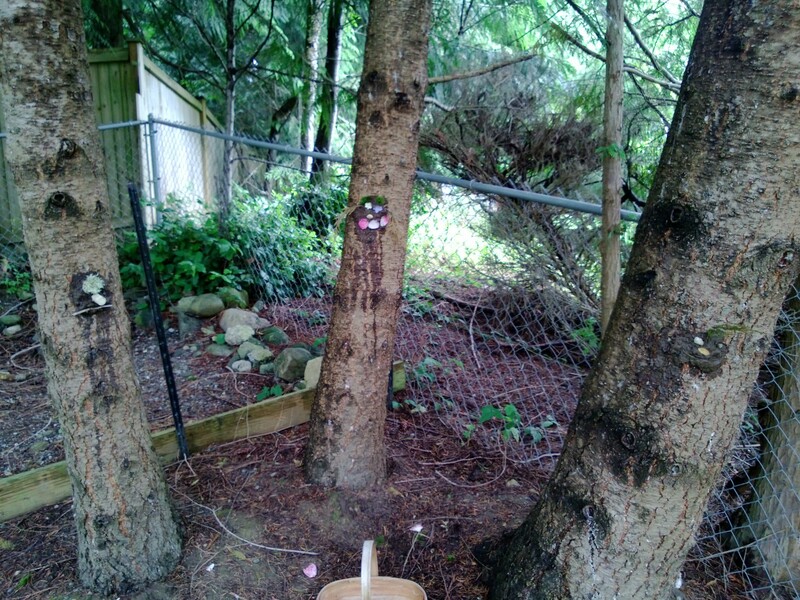 It took a while to find the perfect tree to build in, untouched but with interesting levels and holes. 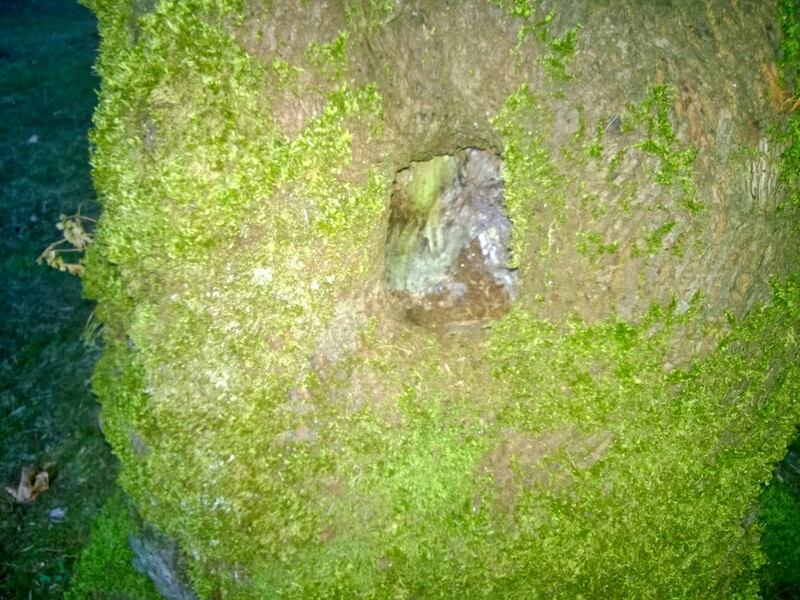 This one had a nice hole to make into a cosy home. Maybe I could build some steps to go up to this room. 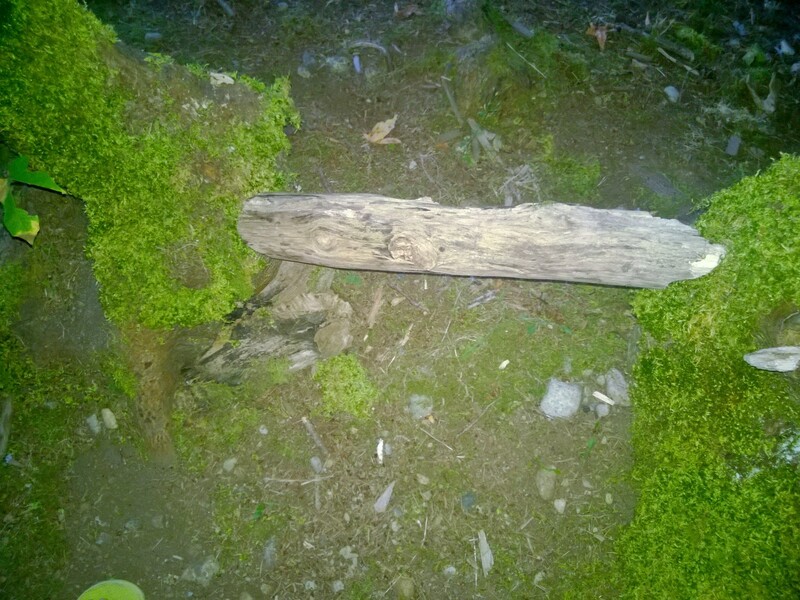 Meanwhile on another tree, her sister was building a bridge to reach from one tree stump to the other. We searched for the right sized piece of wood. They set to work making tables and benches, carefully scouring the area for the perfect materials. They really wanted to stay but the night was drawing in and mummy was slowly being eaten alive by mosquitos. 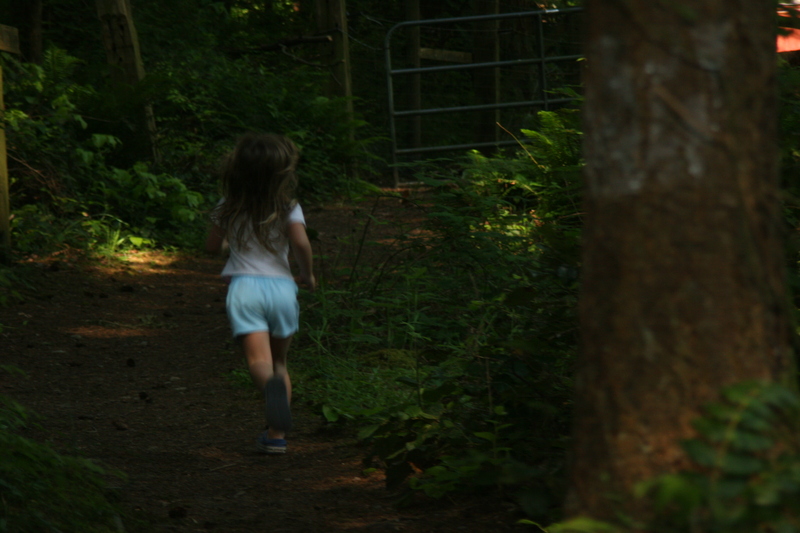 Every little girl knows that fairies come out at dusk and are afraid of humans. 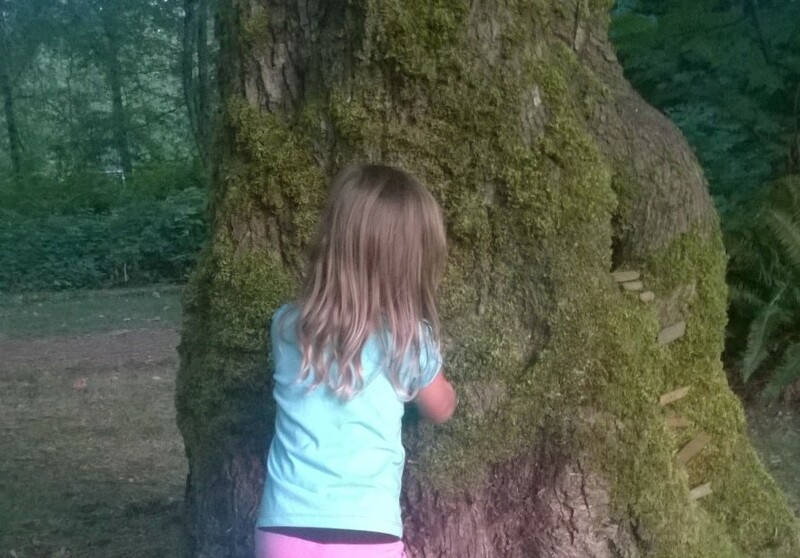 We needed to leave the woods quickly to give the fairies a chance to discover their new home. 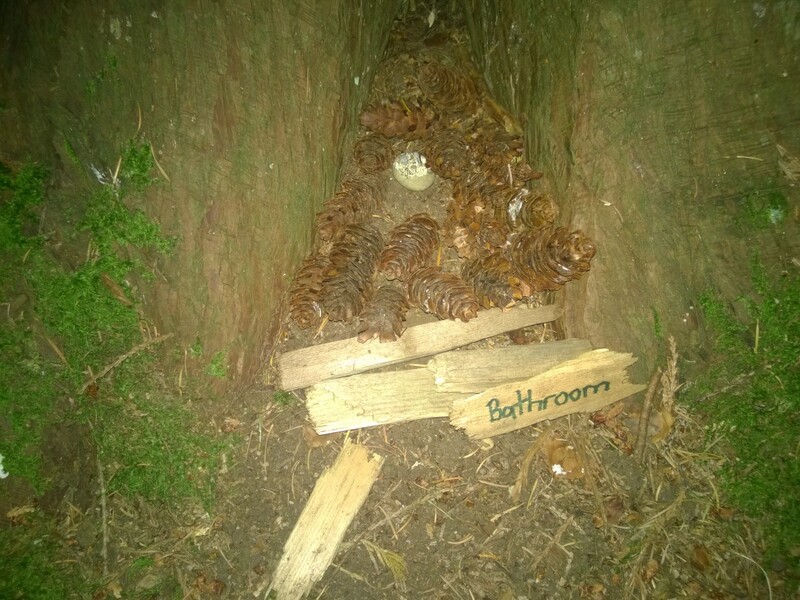 I wonder what type of fairy will choose to rest there? Our first week of the school holidays has been rainy. Perfect for our preparation for International Mud day on Saturday. We have been planting bulbs and sunflowers and finding bugs and worms under the ground. Today we gave our trees mud faces. 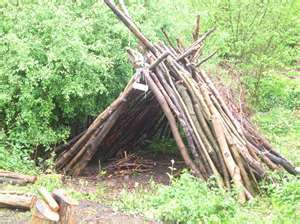 This is one of the many fabulous outdoor ideas that can be found in the Woodland Trusts Woodland Adventure Booklets , free to download from their website. 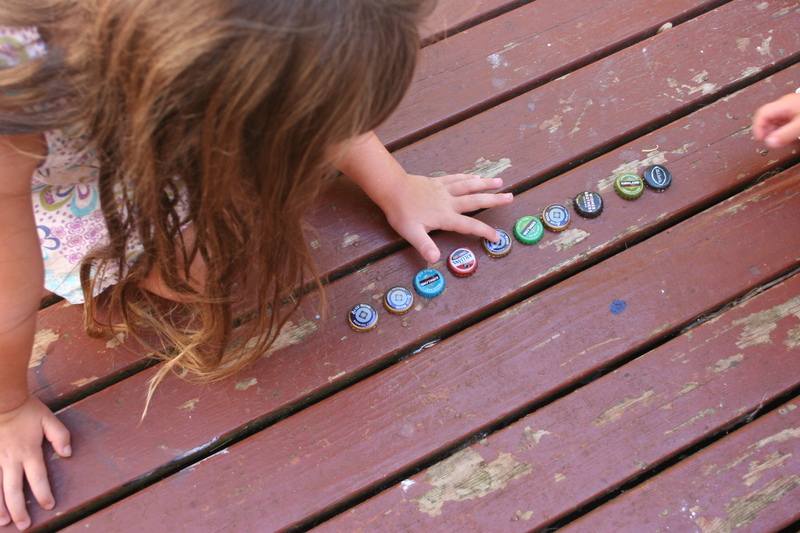 We used materials from our loose parts station and from around the garden. 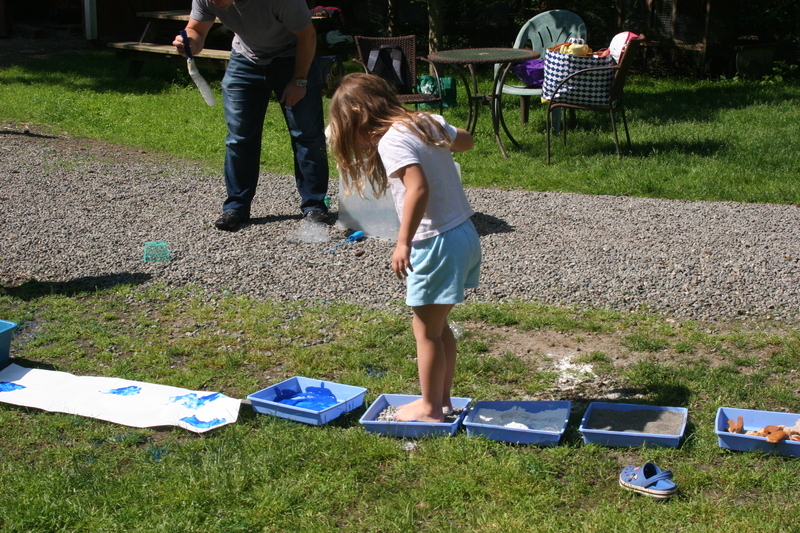 Make a mud kitchen (Including why playing in the mud is good for you). International Mud day on Pinterest if you’d like to share any of your mud day activities on my Pinterest board contact me and I’ll send an invite.